Civil, Interior & Building Work. Firefighting ( Ductile Pipe ) Shuwaikh RO Power Plant GRP/GRV Pipe Installation in Chlorination & DAF Sludge Treatment System. Mechanical - Eddy current Testing. Electrical Work Minagish –B Sub Station Supply & Construction of new 132/33/11 KV Electrical Sub Station at SUG. Project No: 3941-KWT/2013-074 Civil Design & Construction Work for 132kV GIB repair & Additional Restore Installation & restoration walking platform. Mechanical Work Subiya Power plant Civil Work, Sand Blasting & Painting Work. (Contract Ref. #: 462/2014) Maintenance of Gas Scrubber, Valves & Reducing Station, Painting & Sandblasting for Gas Scrubber & Reducing Station, Repairer of 3 # of drain pits. Various Substation in Kuwait Manpower Supply Services. 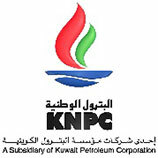 12 Civil Work KOTC LPG New Filling Plant. Cementitious Water Proofing Work, Fluid Applied Water Proofing Work. Manpower Supply Services Sabah Al Ahmed City. Sabah Al Ahmed 2Z / Station. Cable Termination Work 132/11 KV Sub Station. Erection of 400/132/11 KV Sub Station. 17 Mechanical Work E-96 Project Supply, Fabrication and Installation of Steel Platform and Valve Extension spindles in Chambers, from DMC to Wafra Farms with the Communication Lines. Electrical Work Valid Parking & Cabin. Supply & Installation of PVC pipe & other electrical work. 34 Supply of Manpower Subiya CCGT Power Project Manpower Supply Services. Mechanical Abrasive Blasting Subiya Power Plant. Repair of Caved between D#3 & D#4. Supply of Heavy Equipment Al Zour (CCGT-3) Power Plant Site Temporary Facilities Construction.